What should you do with an old car that doesn’t drive anymore? Get rid of your old car with Metro Car Buyer NZ and get up to $9,999 cash. We come to you after making a cash quote over the phone and online to buy & remove the car. Old cars can mean many things – out of style, not running, too costly to maintain, or simply ready for a newer model. Whatever category your old car falls into, Metro Car Buyer NZ will buy your old car. We are a specialist in old cars and can buy any condition as our team consists of more than car buyers, we are expert wreckers & Recyclers. With the expertise of our team, we can make you a great deal for your old car. Metro Car Buyer NZ eliminates all the hassles of getting rid of your old car. 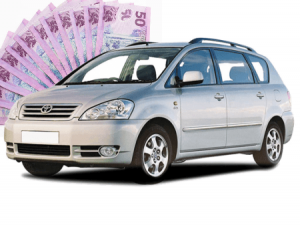 We start with an easy to obtain cash for old cars quote that we provide over the phone or online. Car owners simply need to accept our quote, and what follows is a quick car removal with no hassles. We are a local car removal company that collects cars as a courtesy service to keep things as simple as possible when buying cars. Car removals can be scheduled nearly any hour of the day, so our customers have the convenience of removals that are convenient for them. At Metro Car Buyer NZ, you don’t have to pay to have your old car recycled. In fact, you don’t have to go to any work at all. Simply accept our quote for your old car, and your courtesy services will include a free removal & recycling at no cost. We are expert recyclers that take your old car and recycle it using the green principles of car recycling, so that old car leaves the smallest carbon imprint on the environment. Have the make, model, year, and a complete description of your car ready to supply to our appraisers over the phone or online. Once a thorough description is provided for the car, we can then provide a cash quote. Once you receive a cash quote up to $9,999 for your car, let us know whether you’d like to take us up on our offer, or you’d like to shop around, and maybe get back to us. If you accept our cash for old cars offer, we can then schedule a free car removal anywhere in Christchurch at a time of your choice. Our removals are quick and convenient with all necessary paperwork and the exchange of cash for the car completed at the time of our removal. When you choose Metro NZ, you have a reliable car buyer that pays you to remove and recycle your old car. We are reputable and fair with the prices we offer car owners for their old cars, offering payments up to $9,999 cash. With Metro NZ, you have a team of specialist that are professional auto buyers, wreckers, and recyclers, so whatever the condition of your car, we are ready to offer you the best value. To get your car sold, give us a call at the number below, or complete our online “Get a Quote” form at the top right.